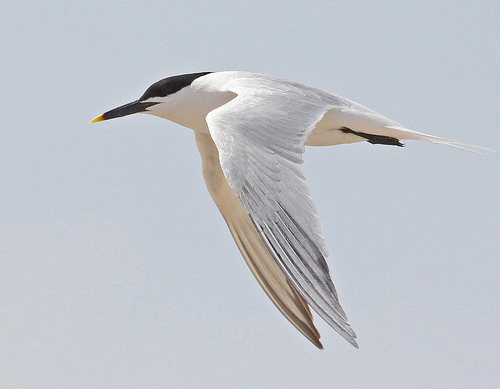 The Sandwich Tern is mainly a seabird, often seen hunting on the coast-line. Like every other tern it flies with firm strokes, and then pauses to 'pray'. As soon as it sees small fish it dives into the sea. 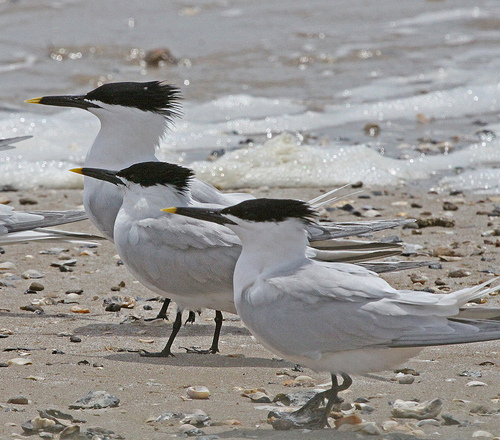 The Sandwich Tern has a black beak with a yellow tip. The beak of the Common Tern is red.